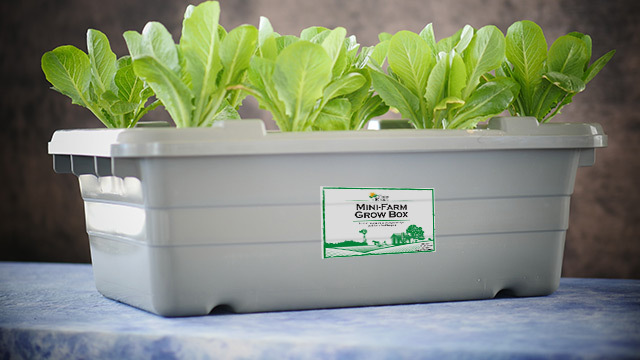 The Food Rising Mini-Farm Grow Box is a non-electric, open-source food production system that can be easily constructed using common tools and parts. 100% EMP-proof, using no circuit boards. 100% non-electric. Requires no electricity whatsoever. Key parts needed for the system can be easily scavenged almost anywhere (a paper clip, a pencil eraser, etc.). 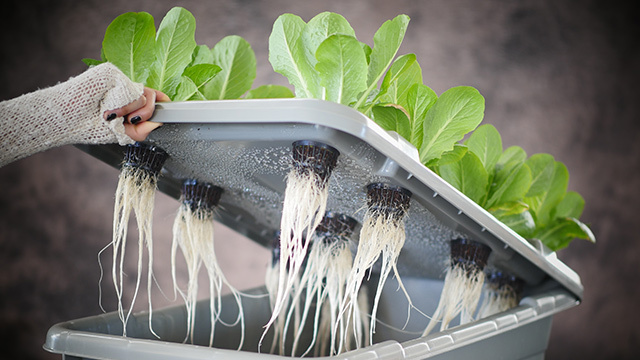 Grows food in less than half the space of soil agriculture. Grows food at waist height; eliminating bending over. Uses about 1/20 the water of conventional soil agriculture. Produces highly nutritious food with higher mineral density. Can grow vegetables, fruits, herbs and even root vegetables (with an adaptation to be released later). Credit for the teaching of "non-circulating hydroponics" belongs to Professor B. Kratky at the University of Hawaii, Hilo.